Pan roasted garlic and herb chicken breasts, an easy chicken recipe which will quickly become a family favorite! One of the best ways I have found to make meal planning easy, is to buy protein in bulk, usually ground beef or chicken breasts. Because I keep a well stocked pantry, I can quickly make a 2-3 meals from that pack. 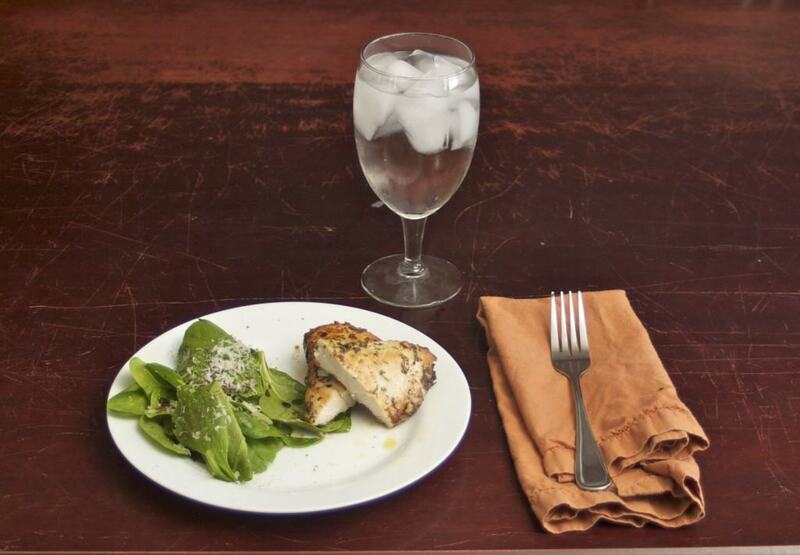 Today I am going to share with you an easy chicken recipe: a garlic and herb roasted chicken breast. It’s simple, delicious, and flavorful. 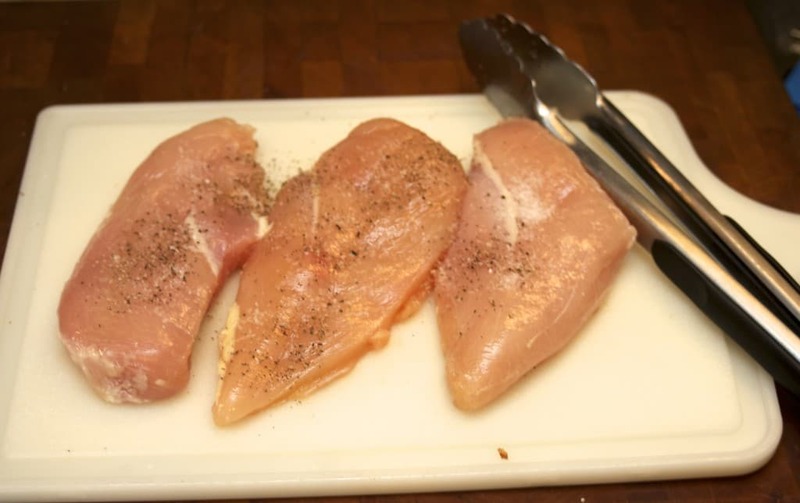 Chicken breasts are smoothered in olive oil, garlic, and herbs creating a moist chicken entree that is ready in just half an hour. 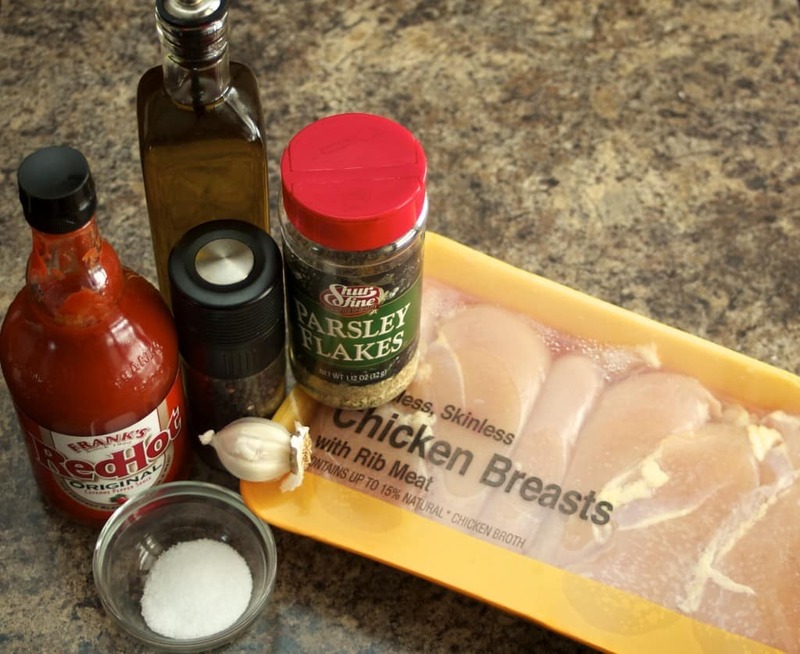 As you can see, this is a giant package of chicken, a 5 pound pack, and this recipe uses three of the chicken breasts. You can use 3-4 breasts depending on the size. First off, you want to salt and pepper on both sides of the chicken. Then you are going to combine 3 tablespoons of olive oil, garlic, parsley, and hot sauce in a mixing bowl. Stir it all up and add your chicken and coat liberally. 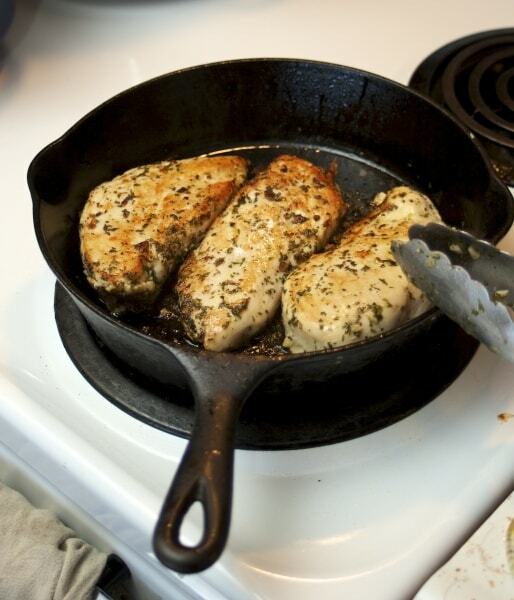 Let all the flavors marry for a few minutes and put the chicken in an oven-safe skillet over medium-high heat. Sear the chicken on one side for 2-3 minutes, turn over and sear the other side for another couple of minutes. Then take the whole skillet and put it in the oven to finish cooking for about 15 minutes. 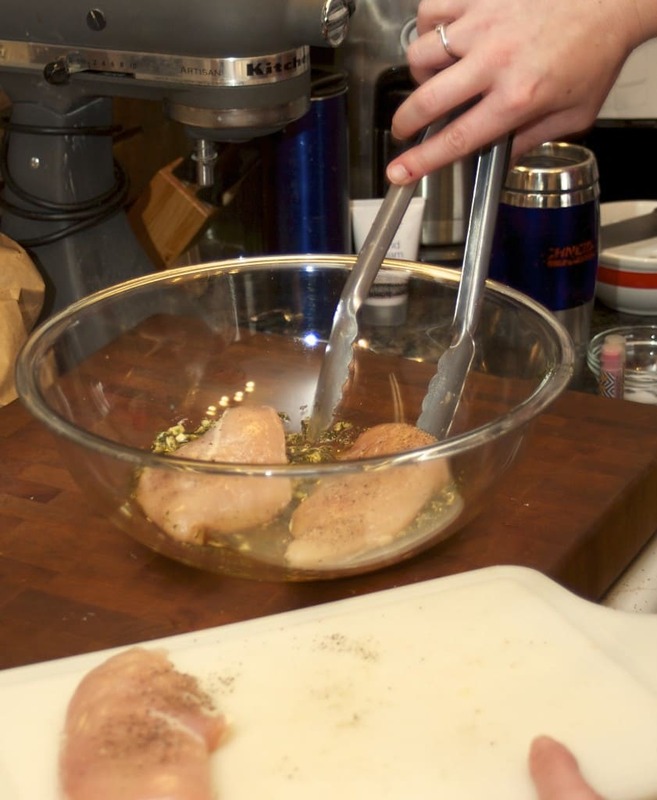 The result is a wonderfully moist chicken, perfectly seasoned, with a hint of garlic. So good!! 2. Season chicken with salt and pepper on both sides. 3. 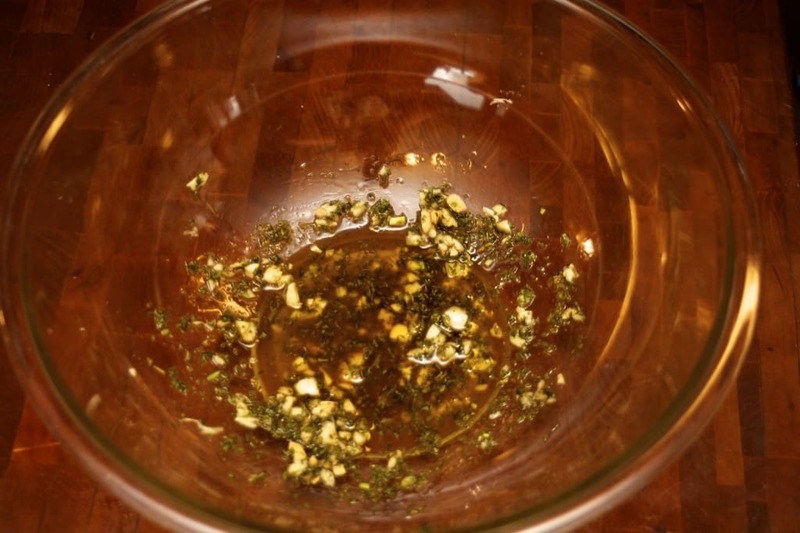 In a shallow dish, combine the garlic, parsley, hot sauce, and olive oil. 4. Add the chicken breasts and coat in the mixture. 5. Let it marinate for a few minutes. 6. Preheat a large nonstick oven-safe skillet over medium-high heat. 7. Add the chicken to the hot pan and brown on each side for 2 to 3 minutes. 8. 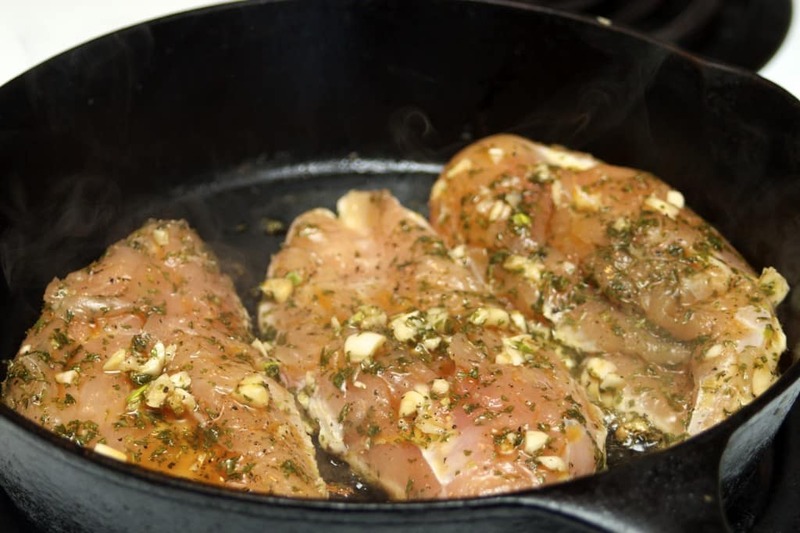 Transfer the skillet to the oven and roast the chicken for about 15 minutes, or until it is cooked through.